Terpsichore is a collection of over 300 instrumental dance pieces by Michael Praetorius to which there were no instruments specified on the score. 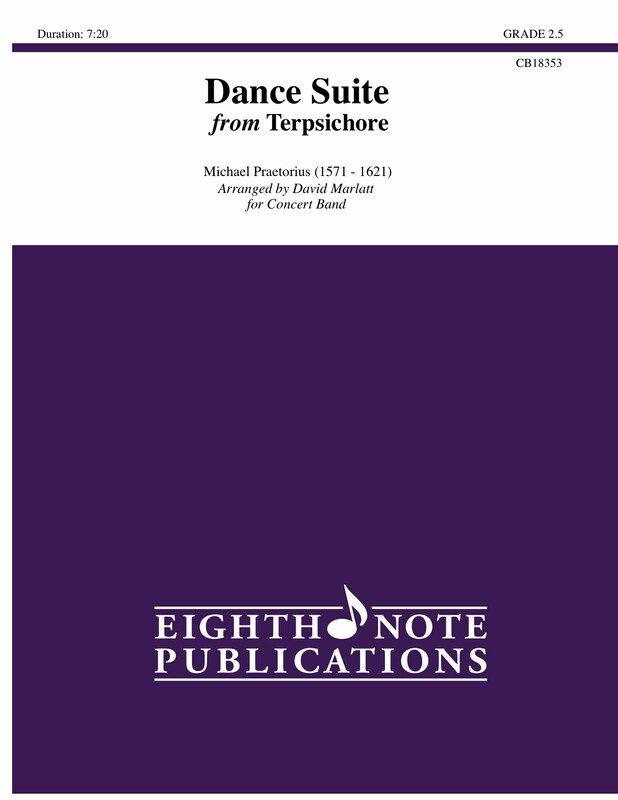 As a result these pieces have been performed by many combinations of woodwind, brass and string instruments over the years Four of these short pieces have been selected and orchestrated here for winds and percussion. Different consorts or families of instruments have been featured to contrast each other in range, timbre, volume or character.